It’s been quite some time since zucchini noodles made their debut around here, and I decided it was about time they steal the spotlight again. 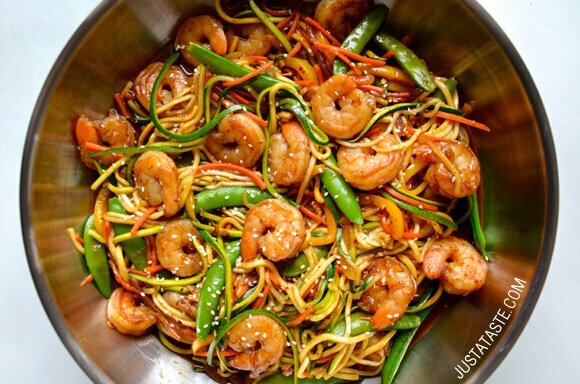 Behold, Asian Zucchini Noodle Stir-Fry with Shrimp. Whether you spy a spiralizer among your kitchen gadgets or not, this quick and easy recipe is guaranteed to become a weekly dinner staple among stir-fry fans. And there’s not a bottled marinade or store-bought stir-fry sauce in sight because we are going the DIY route from start to finish. I like using a mandoline to make zucchini noodles because the gadget has so many other uses as well (hello, homemade potato chips!). But if you don’t own a mandoline or a spiralizer, have no fear. There’s plenty of other ways to make zucchini noodles using a regular ol’ chef’s knife and vegetable peeler. And the real key to stir-fry success is to have all of your ingredients prepared before you fire up the flames. 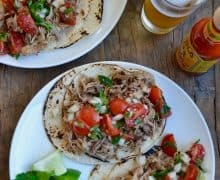 Stir-frying is a super-quick cooking technique, so you’ll want everything within reach to avoid a mad-dash across the kitchen. 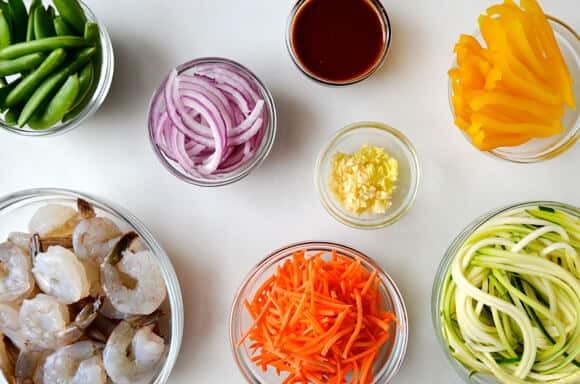 Best of all, everything cooks up in a single skillet or wok, starting with shrimp and ending with a rainbow of vegetables. This colorful meal-in-a-bowl is so flavorful that you won’t even notice the absence of noodles or rice. 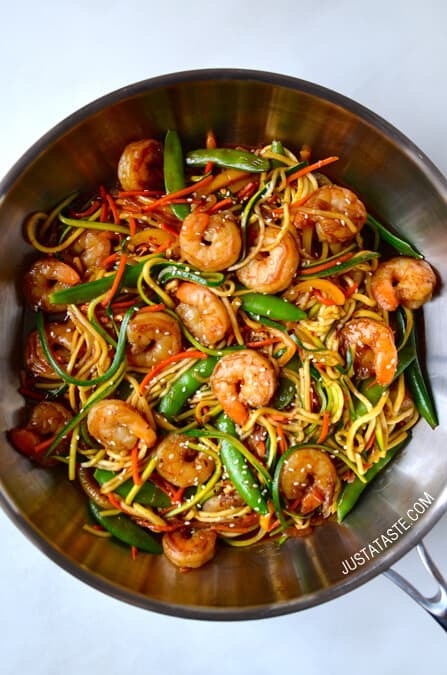 Long story short: Easy homemade stir-fry sauce + zucchini noodles + chopped veggies + garlicky shrimp = the ultimate (healthy!) takeout fake-out that will be on your table in 30 minutes or less. In a small bowl, whisk together the vegetable broth, hoisin sauce, soy sauce and cornstarch. Set the mixture aside. Place a large sauté pan or wok over medium-low heat. Add 2 tablespoons olive oil and and heat it for 1 minute. Add the garlic and ginger and cook for 2 minutes, stirring constantly. Add the shrimp to the pan and cook, stirring as needed, until the shrimp are cooked throughout and pink on all sides, about 3 minutes. 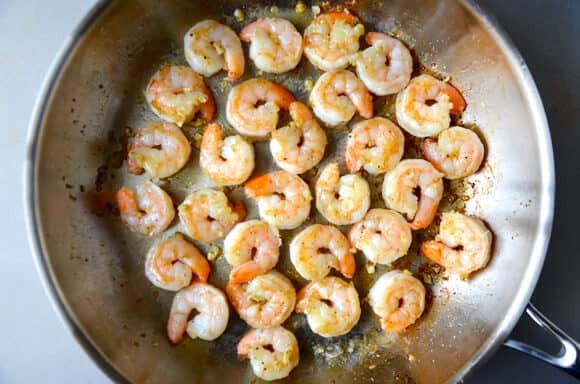 Season the shrimp with salt and pepper and then transfer them to a bowl, leaving any liquid in the pan. Increase the heat to medium. 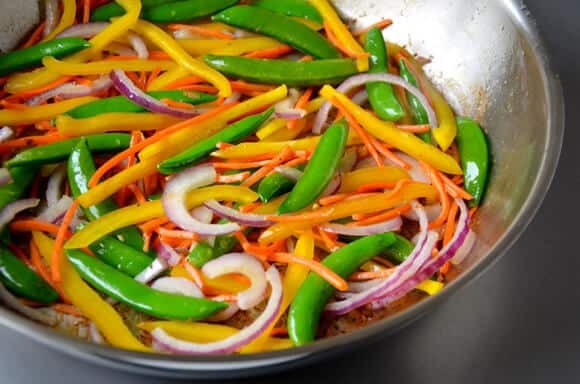 Add the remaining 1 Tablespoon of olive oil to the pan, then add the bell pepper, carrots, red onions and snow peas and cook, stirring constantly, for 3 to 4 minutes until the vegetables are crisp but tender. Add the prepared sauce and cook, stirring constantly, for 2 minutes until the sauce thickens slightly. Return the shrimp to the pan, stirring to combine, then add the zucchini noodles and cook, tossing to coat, for 1 minute. 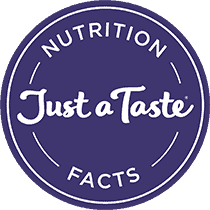 Transfer the stir-fry to serving plates, garnish with toasted sesame seeds and serve immediately. 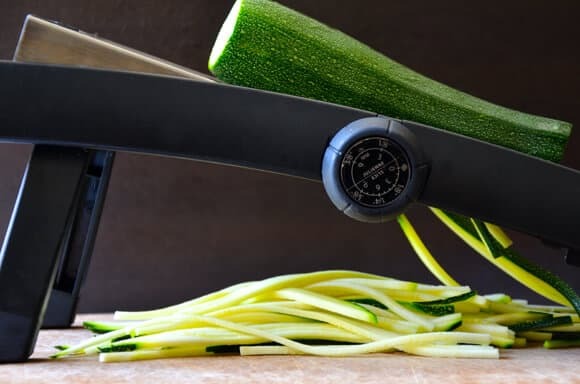 You can make zucchini noodles using a variety of gadgets, including a mandoline (pictured in recipe), a spiralizer or a vegetable peeler.